Nog Games is a small independent game development studio based out of South Lake Tahoe, CA. We strive to me fun and interesting games. Our first game Adventure: Lost is currently in development and is scheduled for release in the coming months. Check back frequently to keep up to date on Adventure: Lost and all future releases. Albert spends a night alone in a tropical rainforest after getting separated from his family. Survive the wildlife, traverse the underground dungeons, and help Albert find his way back to his family. Maybe even change his outlook on life. Five main dungeons with unique animal bosses plus a final dungeon. Unique world layout every time you play. Runs at a glorious 60 frames per second. Comes with a free digital Game Manual. Adventure: Lost is a single player experience. Click here for screenshots, videos, and more info. 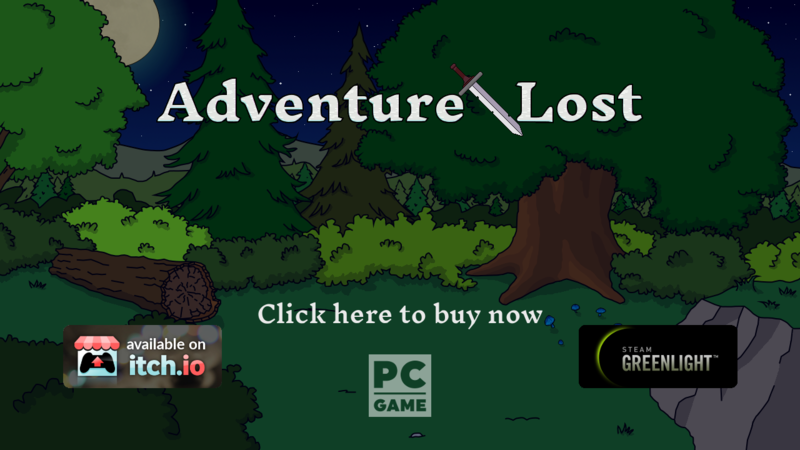 Buy Adventure: Lost now on itch.io! Adventure: Lost is now available on itch.io. Click the button below to visit the store page.